Think, believe, dream, dare…we are heroes of our own adventures! Cottesmore Academy is a Primary School that is committed to high quality learning and teaching and meeting the needs of all the children in its care. We plan to always be ‘EPIC’ as we strive to ensure everything we do is enjoyable, focussed on progress, inclusive and collaborative. We believe that becoming EPIC allows us to achieve our motto - ‘Think, believe, dream, dare…we are heroes of our own adventures’. Cottesmore Academy is incredibly proud of our children, families and staff, and is determined to provide a purposeful, calm and positive atmosphere. We desire for our children and families to have high aspirations and to feel safe and welcome whilst part of our community. The school is quite unique within Rutland as not only is it situated on Kendrew Barracks but it serves a marvellous diverse community with 100% of the children coming from Service families. Our children come from a range of cultural backgrounds including British, Fijian, Nepalese, African and Indian. This unique range of backgrounds enables the school to share and celebrate with the local community and enrich our curriculum at every opportunity. Children at our school are warmly received and encouraged throughout their time with us to demonstrate our 6Rs – readiness for learning, resilience, respect, responsibility, resourcefulness and reflectiveness. These core values, alongside the British values, are golden threads that run through everything we do; in order for all our children to reach their potential and to truly be heroes of their own adventures. We believe that for this to be fully achieved we must establish a genuine partnership between home and school. We work hard to engage with our families and encourage you to get involved in the work and life of our school whenever and wherever you can. We know we make a difference and hope you will enjoy the journey to become EPIC. Our school motto - Think, believe, dream, dare…we are heroes of our own adventures! Enjoyable - Learning is enjoyed as the curriculum uses real and meaningful contexts. As a result there is engagement across the school. Progress - We focus on building on previous learning as well as introducing new learning to strive for deep learning. Knowing where our children are in their learning is essential in pursuit of high standards. Inclusive - At Cottesmore we want every child to achieve their potential. We wish to know our children incredibly well in order to build on each individuals strengths and ensure everyone has equal value. Collaborative - The enrichment and enhancement of our curriculum offers our children a wide range of opportunities that inspire them and allow them to use the 6Rs alongside their peers in a collaborative way. We are only EPIC when our 6Rs are put into practice. Being Resilient means sticking at it – even when the going gets tough. Resilient learners: Persist, display patience, have a positive attitude and feel joy, stay involved in their learning, set targets and practice. Being Responsible means looking after yourself and others. Responsible learners know right from wrong and make good choices, are honest, show empathy and kindness and think ahead. Being Resourceful means knowing what to do and where to go when you get stuck. Resourceful learners show initiative, learn in different ways, ask good questions, involve others in their learning, take risks. Being Ready for learning means making sure you are in the right frame of mind and all your needs are met. Learners who are ready feel safe, display self-control, manage their time and looking after their body. Reflective learners are curious and honest, can describe their progress, listen to and learn from feedback and learn from experience. Being Respectful means being tolerant of others and empathisingwith their point of view. Respectful learners are honest and stay true to their beliefs, show loyalty and faithfulness, are kind and polite and will share what they have with others. Providing outstanding education for all pupils – today and tomorrow! World-class education and care that allows every child to achieve their potential, regardless of location, prior attainment or background. By Working Together to Sustain Excellence and Transform Learning we believe that we can improve outcomes for all children – today and tomorrow. By working in this way we know that every child will be valued, cared for and have the very best chance to excel and achieve their potential. We seek high levels of attainment and achievement across a broad, creative and inspirational curriculum. Memorable learning experiences are at the heart of all we do. Every child deserves to be successful and our role is to help them blossom and believe everything is possible! Promote real, genuine and planned collaboration - Working Together. Sustain Excellence - raise standards of achievement for all pupils. Transform Learning - provide world-class education and care that allows every child to achieve their potential, regardless of location, prior attainment or background. 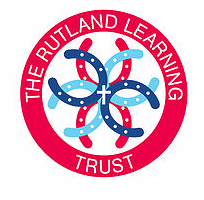 The Rutland Learning Trust is values driven and educationally led; it aims to provide world-class education and care that allows every child to reach their potential; it recognises the importance of teaching and learning. It operates a robust school improvement system, with the ultimate aim of doing something exceptional for children in our care. All pupils will be safe and all will be supported, whatever their needs. The Rutland Learning Trust aims for all academies to be outstanding. This means outstanding outcomes for all children; innovative, enthusiastic, well- trained staff that provide high-quality teaching, learning and assessment experiences every day, and pupils that leave education well-prepared for the next step of their lives. The Rutland Learning Trust aims to contribute positively to the self-improving school-led system in education across this locality. We are committed to adding real value to the community, helping it become even more effective in order to achieve the very best for all pupils. We believe in true collaboration; working in partnership, investing in people and building capacity for long term, sustainable success. Our academies will need to respond to the challenge of creating and responding to this changing landscape. Our strategy is ambitious and exciting; it reflects our locality and the needs of our children. Our education system is in a state of fundamental change as we move to a self- improving system that reduces central government control in favour of a school-led system. This provides a great opportunity for all of our schools to take the lead and create a system that our children deserve. Bold and dynamic leadership, at all levels, is fundamental to help transform our local education system. We need to develop and own this new system together and take risks to ensure all our learners, regardless of their starting point or background, have their needs met and thrive in the communities that we create. Our challenge is to continue our journey in improving systems so that all the academies within the Rutland Learning Trust are ‘outstanding’, not only in terms of their Ofsted judgement, but also in the eyes of our learners, staff, families and our wider community members.